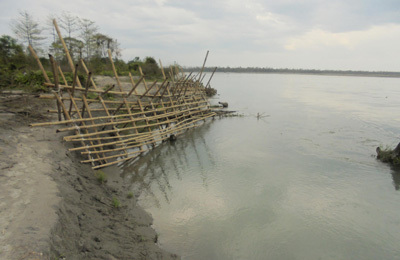 AALO, May 6: Aalo, one of the oldest district headquarters of the state is facing severe issues of internal and external road connectivity. 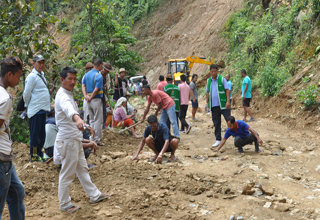 “While the Aalo-Pangin road is in a horrible condition, the Aalo-Likabali road has become non-negotiable. 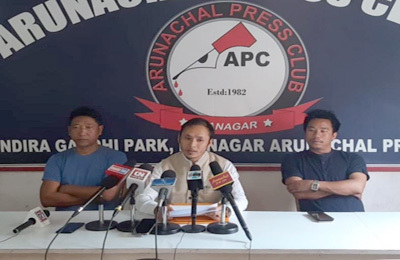 Further, abandoning of the Potin-Pangin road by the company, which was entrusted to take up the Trans Arunachal Highway construction work, is adding woes to people’s sufferings,” reports the DIPRO. The Aalo Town Peoples’ Welfare and Development Society, which has been spearheading the cause of road connectivity in the district, has no other alternative than to start series of social services in the critical areas where movement of vehicles are difficult. The society under the leadership of former minister Kento Ete, chairman of ATPWDS conducted its second major social service from Sipu Bridge to Amar Camp. The members of Darka Baane Development Committee and inhabitants of Rigo Kamdi Jimar were actively involved in the social service. This is in continuation to major social service activities taken up from Amarveer Tape Yajo Dwar to New Market, Aalo.